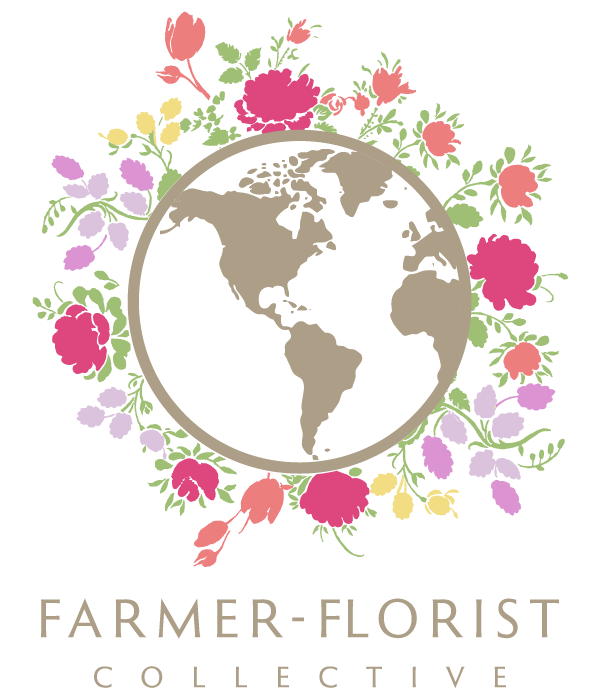 We are a family run Flower Farm and Design Studio. Focusing on unique flowers and foliage, garden style designing, and farm fresh weddings. 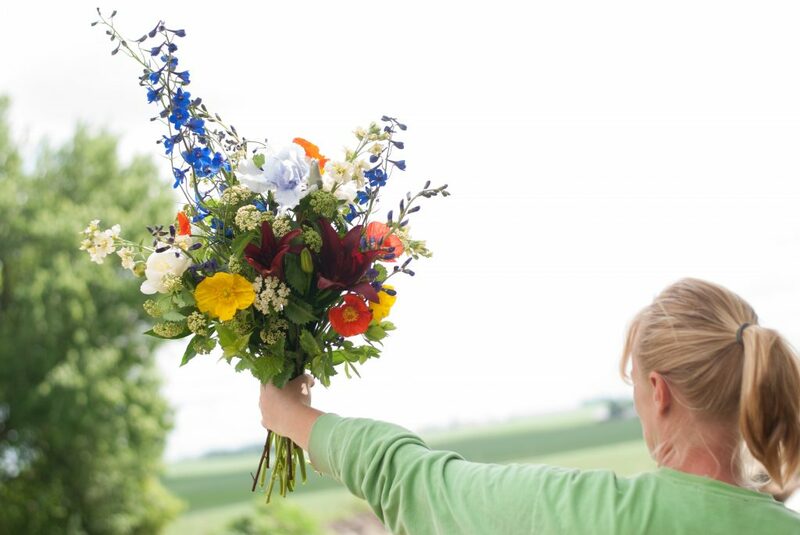 Located in the Heartland, nestled between gently rolling hills of crop land, our farm is bursting with beautiful, fresh, and luscious flowers. 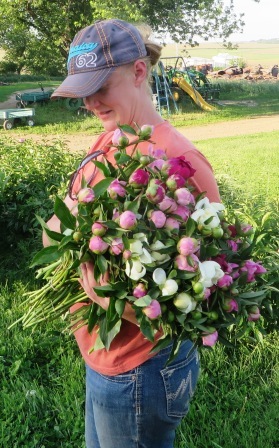 From beautiful ruffled peonies in the spring to gorgeous dahlias in the fall, and a plethora of varieties in between, we harvest flowers daily. So perfectly fresh, that we can offer flowers that have optimum vase life for our valued customers. My mother had a huge garden and apple orchard. As kids, many busy summer days were spent harvesting and canning beans, picking and juicing apples, harvesting tomatoes for salsas. When I was very young, my mother had a huge bede of canna outside the front door of our old two-story farm house. Every fall my brothers and I had to help dig, pack in paper bags, and store Mom’s canna bulbs in the basement. My grandma lived close by and she grew flowers to take to Farmer’s Market. Her tiny yard in town was packed with so many amazing flowers! Anywhere she could grow flowers she would dig up the ground and plant flowers. On the way home from Farmer’s Market, we would take detours down country roads searching the ditches for patches of wild Queen Anne‘s Lace. My Grandma taught me how to choose the freshest stems and how lilies lasted the longest when they are picked with buds still closed. She always advised me to educate my customers about which flowers last the longest and how to care for their flowers. My real role model was my mother; she was a stay-at-home mom who was always there for us. She market gardened for many years to help supplement her and Dad’s income. 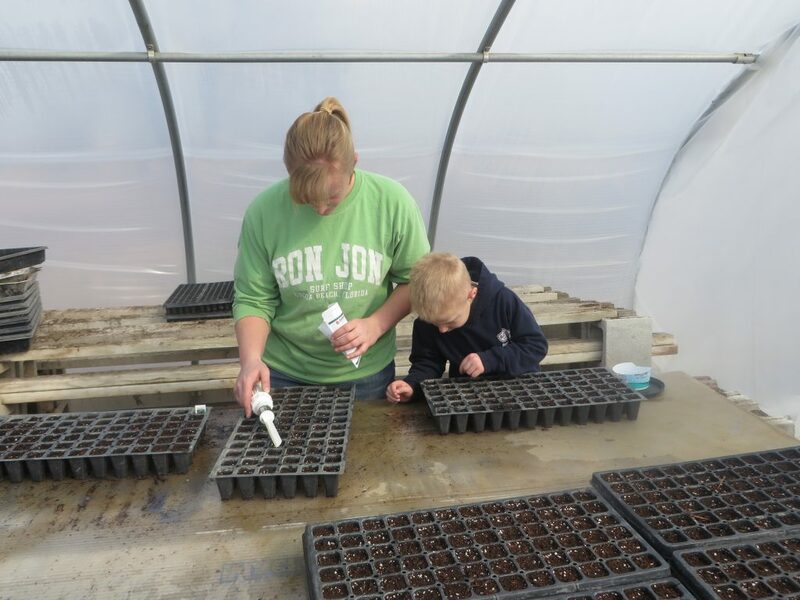 She taught us the value of hard work and how to plant and take care of plants in the most natural way possible. When I was ten, Mom offered me to my very own garden. The first flower I grew was cosmos. I loved their delicate fairy-tale quality as they waved in the breeze in wonderful shades of pinks and burgundies. The dill I planted took over the rest of the garden! When I was 15 we started growing a few old fashioned flowers to sell at Market. It became the side business where I could also earn while helping my mother. I went to college and learned floral design. With that ability, we started designing garden-style weddings using our wonderfully fresh flowers. Our love for flowers has blossomed and spend more and more time pouring over seed and plant catalogs. Lately we have been searching for unique flowers that also have lovely fragrances! Now I have my own family with 2 little boys. 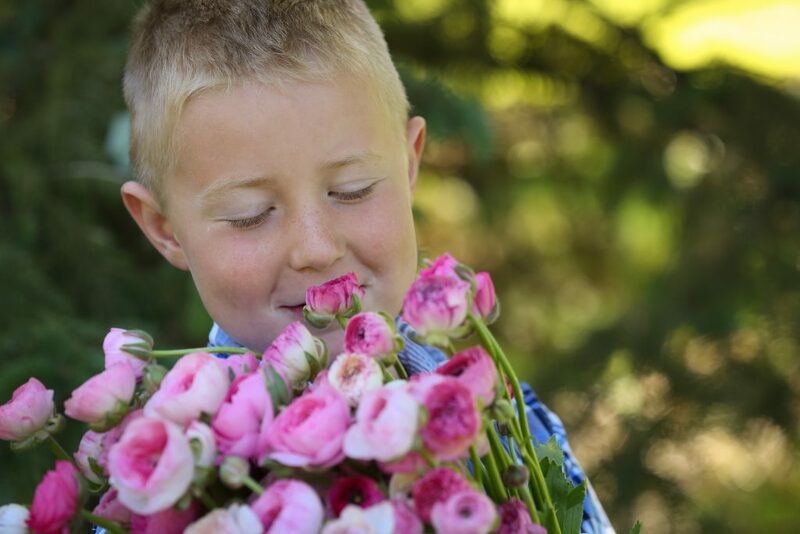 Beyond the love of flowers is the desire to raise our boys in a wonderful environment of fresh air, beautiful flowers, and lots of little projects to keep those eager hands busy. 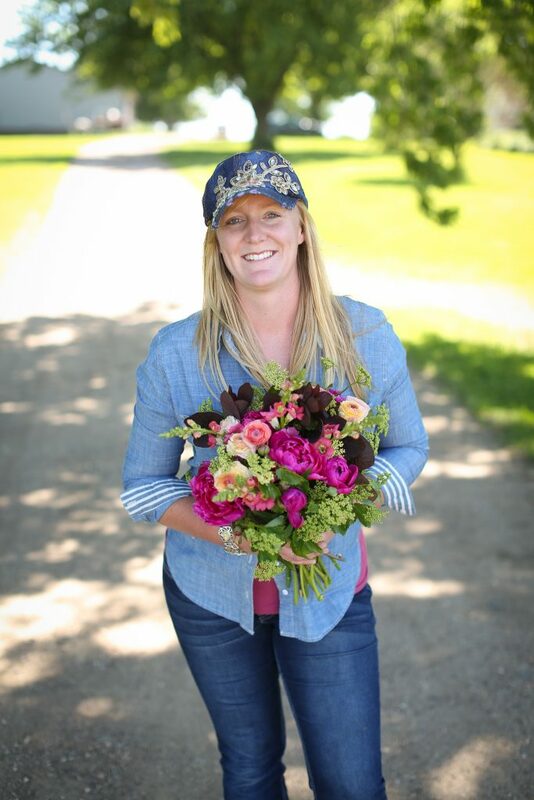 Alissa is the owner of Alissa’s Flower Farm. Opened in 2001, when Alissa was 15, it started as a farmers market stand selling fresh cut flowers in hand arranged bouquets. Alissa does all the floral planning, garden site planning, and watches over her flowers constantly. Noah is the oldest and assumes the most responsibility for making sure Aiden stays out of trouble! Noah and Aiden love driving their little tractors through mud and playing in puddles. 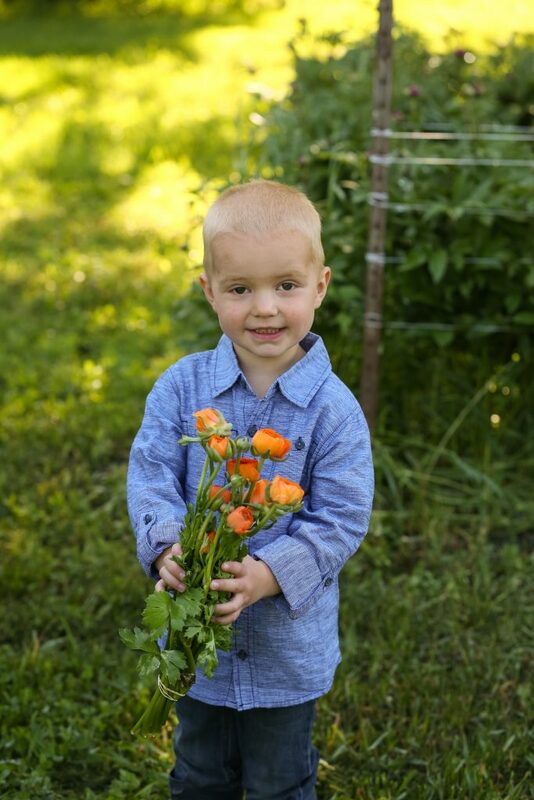 Changing clothes 2-3 times a day is must but that’s okay, “Mommy wash it.” Noah loves helping Mom and Grandma by hauling buckets of flowers and totes of lettuce back to the processing shed. He is determined that he is able to do 'big boy' tasks this year. 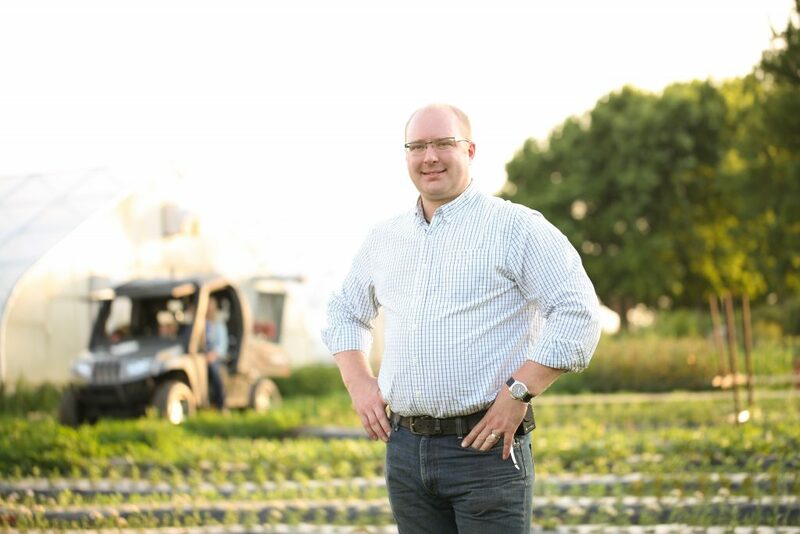 The inventive leader on our team, Nathan is always pondering how to improve the way our farm operates. Nathan has designed many items to make the work flow easier and more efficient. Most of our flowers are now loaded onto carts and rolled in and out of coolers so we can easily access flowers for design. Rolling carts also make deliveries more efficient. Nate is also the great dad who picks up the boys; takes them fishing or to the park, helps fly kites, and then after a long busy day at the farm, Daddy helps Mommy make supper. Grandma is the glue that holds the family together! 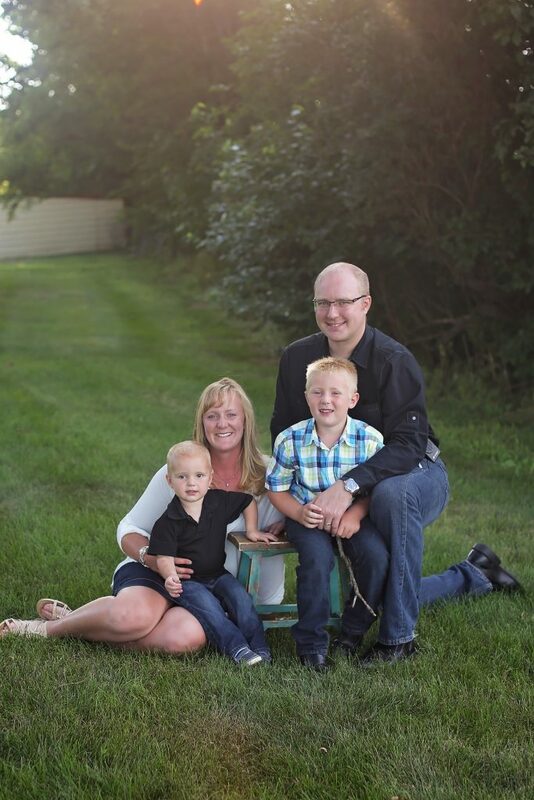 From making lunches to giving Aiden his nap, she makes sure things run smoothly. She is Alissa’s 'sounding board' when decisions need to be made or when processes need to be changed. Grandpa entertains the Noah and Aiden when the fast pace of flower harvesting days gets overwhelming. They go for drives, do errands, and fix small things around the farm. "Grandpa's home!" shout Grandpa's two little shadows every time he drives onto the yard. Alissa prepared all of the flowers for our wedding in August of 2016. She is very knowledgeable about what flowers are in season, and what will create the look you desire. What we received on our wedding day exceeded our expectations by far. The colors were so vibrant and the flowers were so fresh. Look no further - your wedding florist is right here! Alissa created beautiful flower arrangements for our reception in October 2014. She created masterpieces for the tables, fireplace and guest book areas, and she fit her arrangements to the style of our event perfectly. I continue to get Alissa's flowers through her subscription program and often deliver her arrangements as gifts because they always bring big smiles.